Modern Groceries is a series of still life photographs focusing on the way our purchased food is packaged and consumed. By setting common foods in their packaging and labeling direct from the grocery store into traditional nature mort compositions, our most common and necessary items of life – food – are jolted into historical focus. 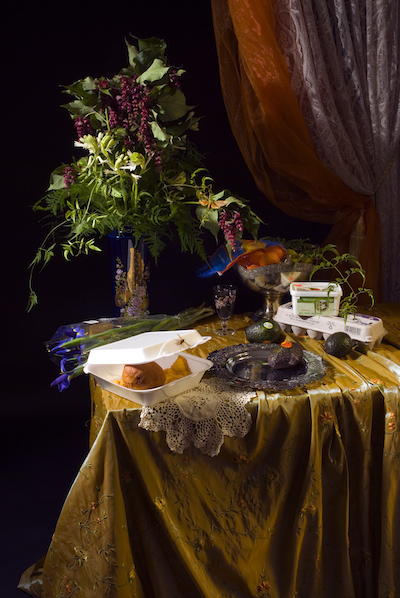 The viewers' various degrees of knowledge of Dutch still life paintings will be the measure by which the photographs will either found or further the perceived rift between ourselves and nature, and ourselves and our food sources.